Check in: Friday, April 26, 6:00 pm - 8:00pm, or on race day 8-9 AM. Races begin approximately at 10:15am. Awards Ceremony follows after last race. The pack will register the top 3 winners of each rank. Anyone else may register for $5. Meet at the park. The pack will provide gloves and grocery bags for the garbage. This activity counts as both a service project and conservation project. We will have a staggered schedule of ceremonies and outdoor activities. Scouts will be promoted to their new rank level. We will recognize leaders, and have refreshments. Pack T-Shirts - will be available to purchase for Summer activities at Graduation and the Fishing Derby. 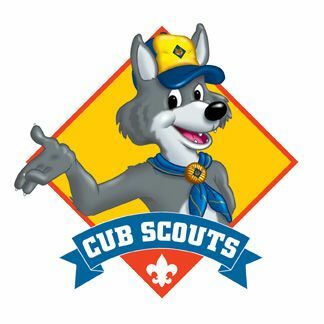 Description: Two full days of cub scout fun including shooting sports, crafts, and outdoor activities. Scouts will spend the night at home and return the next day. The Family Camps are for all ages and genders. Bring the whole family to camp and enjoy a great family get-away! Youth ages 5-17 will participate in all of the camp programs and activities. Youth 4 and under are free and are the responsibility of and under the guidance of their parents. Check with your den leader or members of your den to see if they are going. It's a lot of fun to go with friends. Webelos Extreme Scouting Trek (W.E.S.T.) is a unique summer camp opportunity available to Webelos and Arrow of Light Scouts. The W.E.S.T. Camp Staff specializes in patrol method camping, teaching basic Scouting skills, and the fundamentals of Scouts BSA. This means that W.E.S.T. participants will receive an authentic Boy Scout Experience. It's a lot of fun to go with friends. AK will be picking another date. 6/21 -Fri 10am- 11:30pm, bike from Altona Middle School to the Barn Park and back.